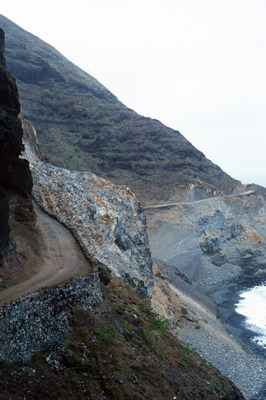 This coastal road to Paùl heading west is cut into the mountains. The mountains descend steeply into the ocean. The single-track road is unpaved and rocky.